PILI, CAMSUR (October 16) - The Bureau of Fisheries and Aquatic Resources - Bicol opened Monday, the 54th Fish Conservation Week Celebration this year with the theme " Industriya ng Pangisdaan ay Masigla kung ang Karagatan ay Malinis at Masagana" at the BFAR Regional Office, here. The Fish Conservation Week is a yearly undertaking of the bureau every 3rd Week of October to increase awareness on the importance of protecting and conserving the country’s fisheries and aquatic resources by virtue of Presidential Proclamation No. 176 series of 1963. 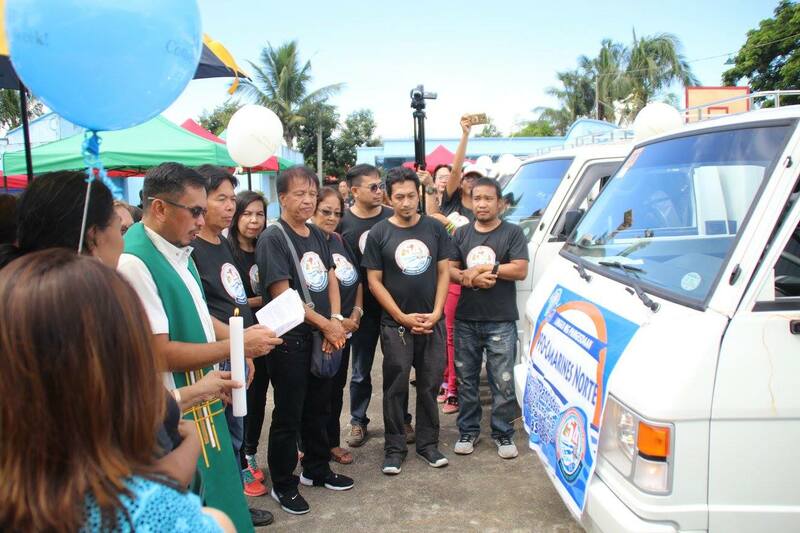 Meaningful activities were conducted in the opening day to include: groundbreaking of the FISHCORAL Coastal Resource Management and Livelihood Center, the book launching of the ATLAS book produced by the National Stock Assessment Project, awarding of motorized and non-motorized fiberglass boats and fishing paraphernalias to the identified Local Government Units and institutions in Camarines Sur, and blessing and distribution of service vehicles to the provincial offices of the agency.